If your child is a picky eater (and seriously, whose isn’t? 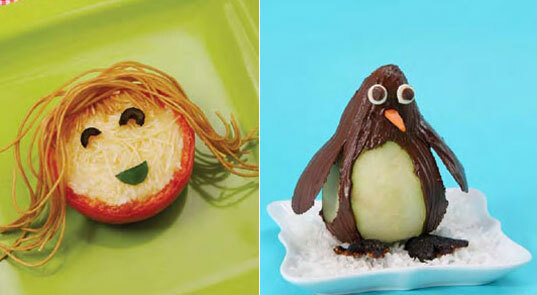 ), why not make healthy food fun to eat? That’s the mission behind the clever cookbook Bean Appetit: Hip & Healthy Ways to Have Fun With Food. Inside its pages you’ll find oodles of creative, good-for-you recipes that are easy enough for kids to make with little or no adult assistance. We love how many of the foods are vegetarian-friendly focusing on veggies, grains, beans and fruits — though the fact that everything is a visually enticing masterpiece doesn’t hurt either! Before the cookbook came Bean Sprouts Cafe in Middletown, Wisconsin. Owners and moms, (and now authors), Shannon Seip and Kelly Parthen weren’t satisfied with meal choices in restaurants, especially those listed on kids menus, so they created a healthy kids cafe and catering service serving up freshly made organic baby food and goodies that are geared for kids but also loved by adults. And now, if you’re not near Middletown, you can experiment with their ideas at home via Bean Appetit. Bonus: The cookbook even features fun “green bean” tips throughout on how to recycle kitchen items. Bean Appetit will be released on February 23, 2010 and is available for pre-order on Amazon. If your child is a picky eater (and seriously, whose isn't? 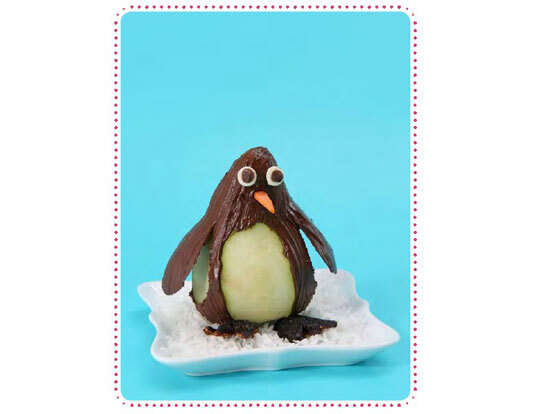 ), why not make healthy food fun to eat? That's the mission behind the clever cookbook Bean Appetit: Hip & Healthy Ways to Have Fun With Food. Inside its pages you'll find oodles of creative, good-for-you recipes that are easy enough for kids to make with little or no adult assistance. We love how many of the foods are vegetarian-friendly focusing on veggies, grains, beans and fruits -- though the fact that everything is a visually enticing masterpiece doesn't hurt either!